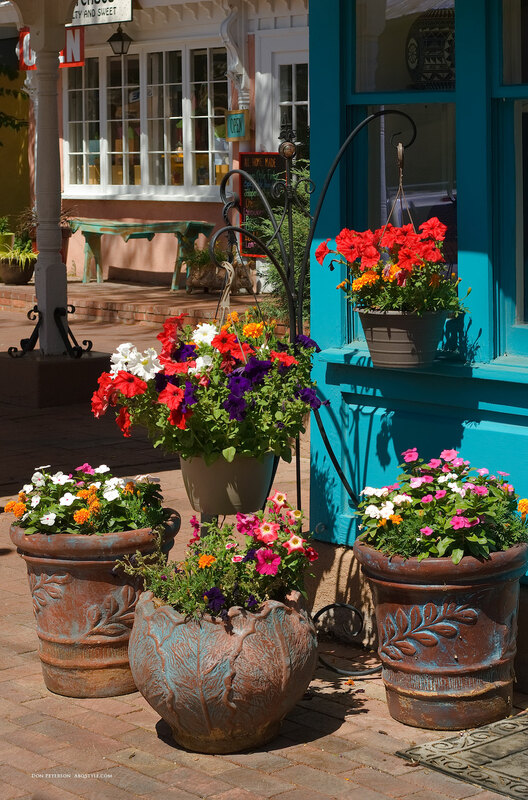 There is so much to do and explore in Old Town Albuquerque! 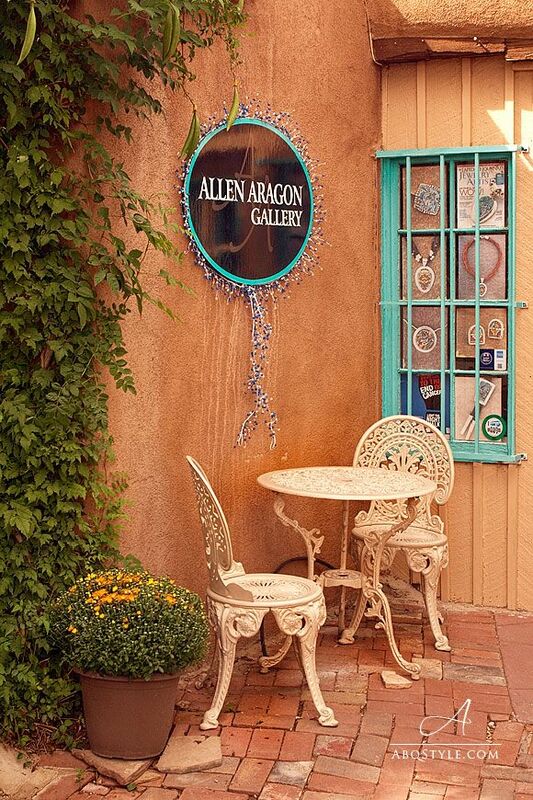 The quaint streets and centuries-old adobe houses in Old Town Albuquerque are home to artisan shops selling fine art, jewelry, rugs, and pottery. The New Mexican eateries in Old Town serve traditional enchiladas, fajitas, sopapillas and more! Old Town Plaza is a charming spot anchored by the 18th-century San Felipe de Neri Church. 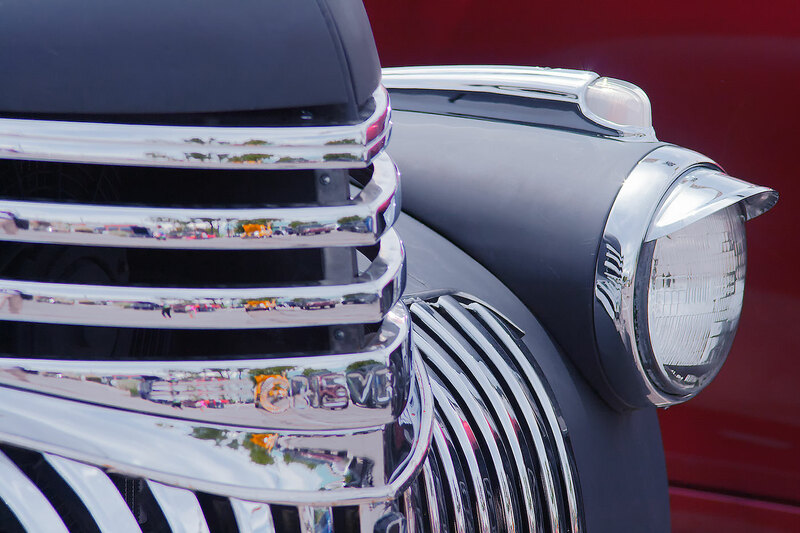 It is where you can enjoy free concerts and you’re guaranteed to see a few of Route 66’s best classic roadsters on any given summer Saturday afternoon. 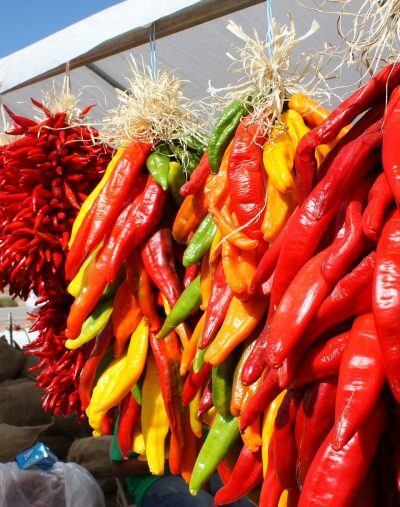 Read on for events, museums, restaurants and more in Old Town Albuquerque! 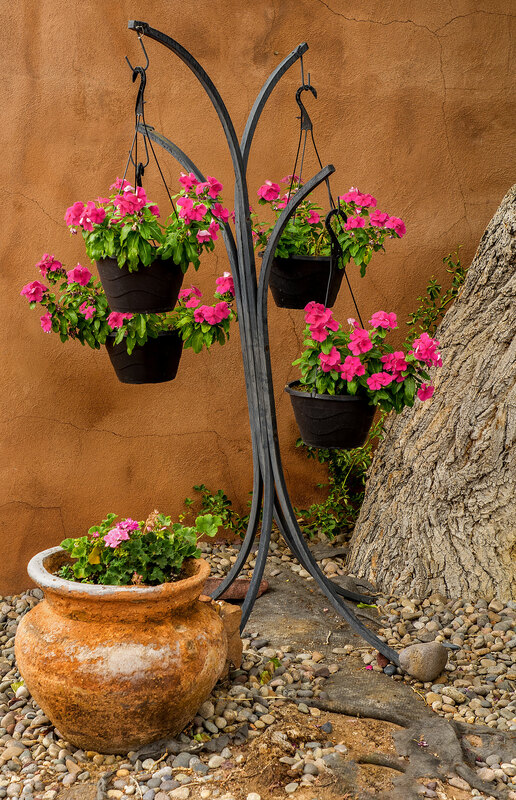 The charm of New Mexico lies in how things grow old in place here. That is especially true of Old Town Albuquerque. Founded in 1706 by New Mexico Governor Francisco Cuervo y Valdés, Old Town Albuquerque is a historic ten block district built around a central plaza that served the earliest Spanish settlers in this area. Like other Spanish colonial settlements, Albuquerque consisted of a central plaza (created in 1780) surrounded by a church, government offices, and residences. 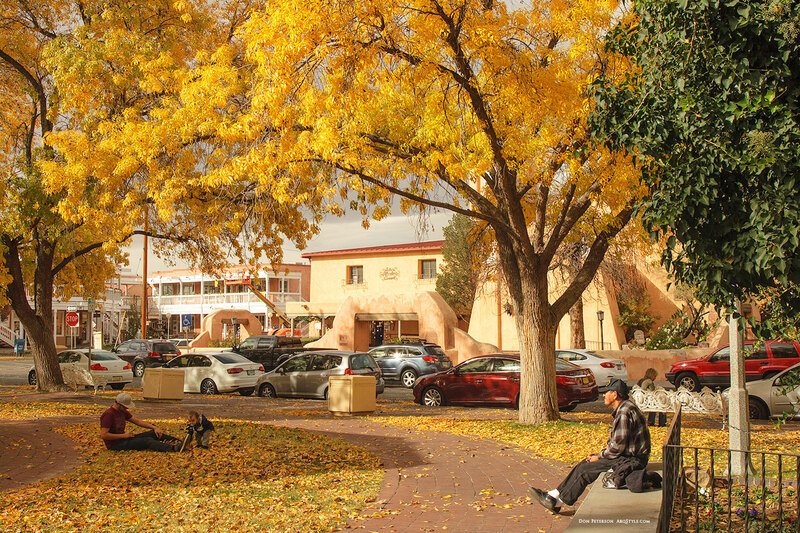 Adobe buildings, many refurbished in the pueblo revival style of the 1950s, are grouped around the tree-lined plaza. For much of the 18th century, the Old Town area served as a spiritual hub for the farmers of Albuquerque, anchored by the San Felipe de Neri Church. Albuquerque, along with the rest of New Mexico was annexed by Mexico in 1821 after the Mexican War of Independence and recaptured by US forces in 1846. During this time it was also growing as a center for commerce and trading. The Old Town Albuquerque area entered a period of decline when the railroad reached what is now Downtown Albuquerque two miles away in 1880. Business and commerce shifted to the downtown area. By the 1930’s few businesses were still in operation around Old Town Plaza. 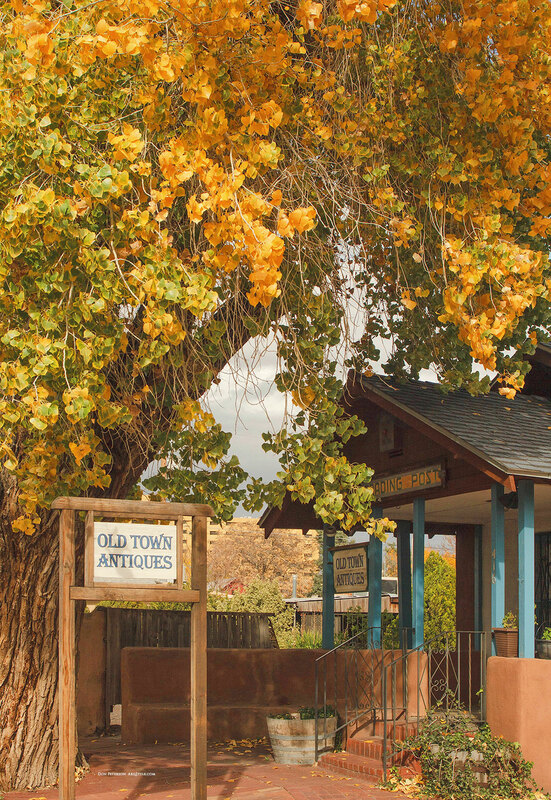 Old Town’s fortunes began to improve in the 1940s as Albuquerque citizens founded the Old Albuquerque Historical Society to protect its historical features. Old Town was annexed by the city in 1949, bringing municipal improvements like paved streets and sidewalks for the first time. 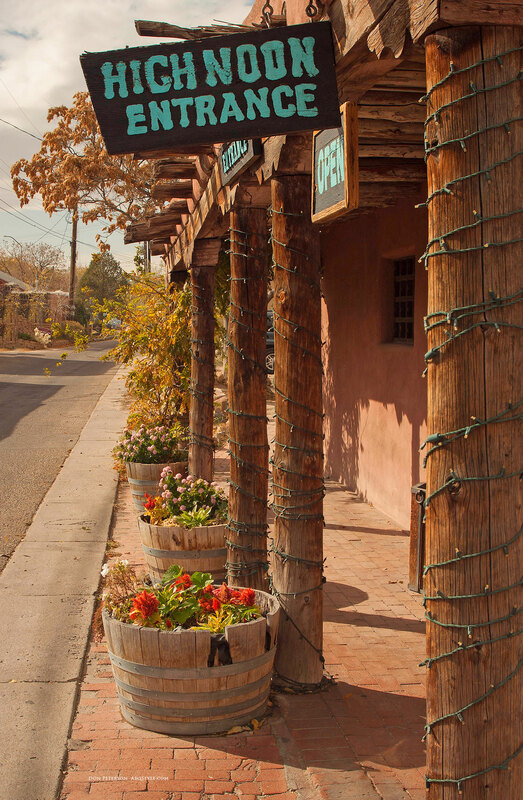 Since then, Old Town has developed into a popular tourist attraction, with most of the adobe houses re-purposed into shops, restaurants, and galleries. Facing the north side of the plaza is the San Felipe de Neri Church, the oldest building in Albuquerque, dating back to 1793. Most of the historic buildings in Old Town were built between 1870 and 1900. During the 20th century, many of the buildings were remodeled to facilitate modern commerce using Pueblo Revival style architecture. 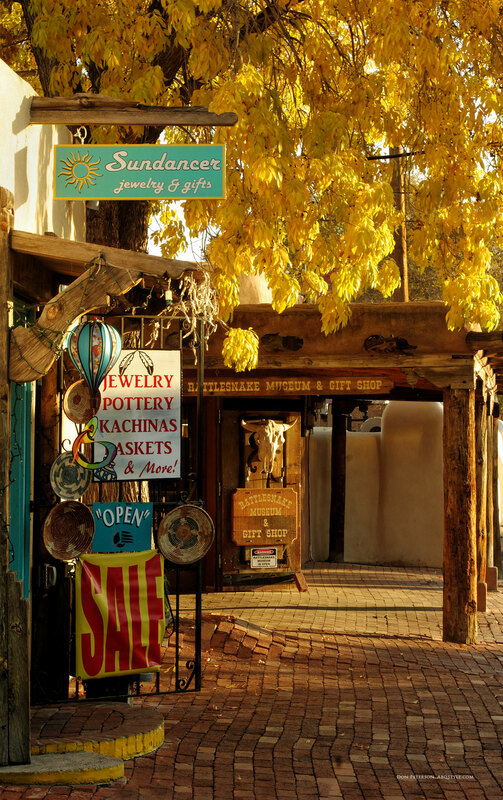 If you enjoy the art, culture, and history of the southwestern United States, then you will love Old Town Albuquerque! 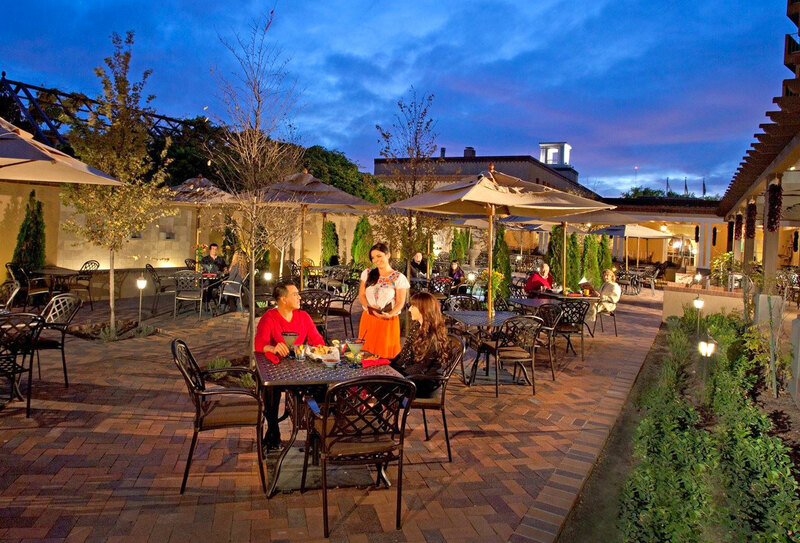 Explore cobbled-brick pathways that lead to hidden plazas and patios rich in historical details. 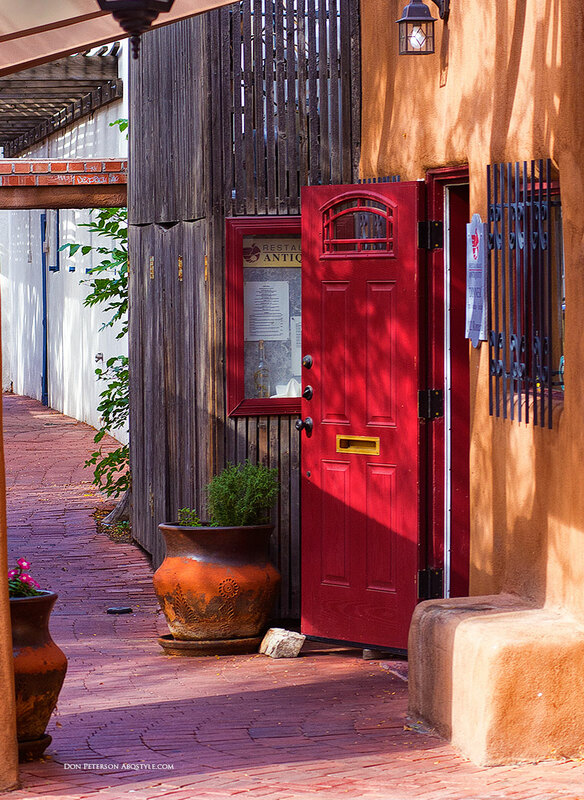 Native-American and Spanish culture live on in the architecture, food, and art featured in historic Old Town. Old Town is a must-see destination for anyone visiting Albuquerque, and a great side trip from Santa Fe (New Mexico) as well. 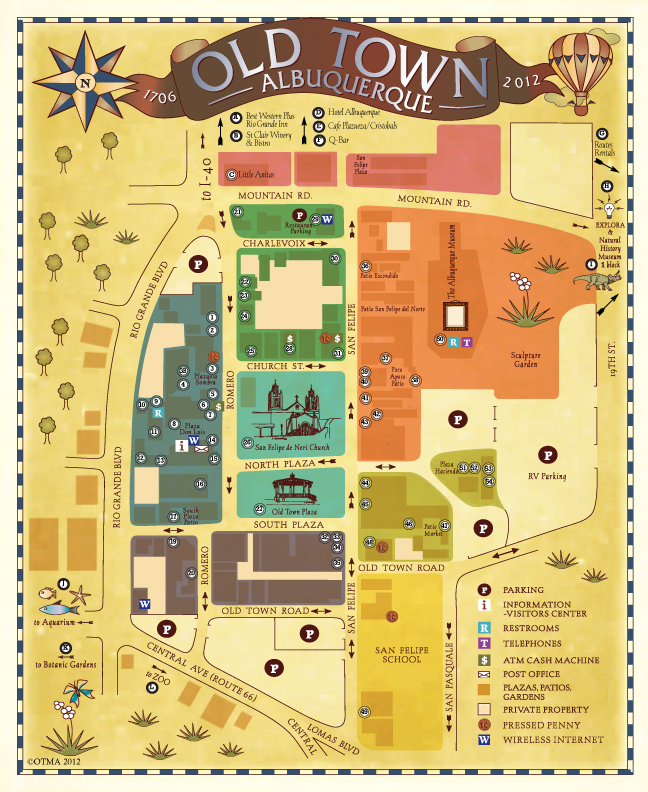 The map shown below is downloadable as a .pdf file and contains a listing of shops and attractions in Old Town Albuquerque. 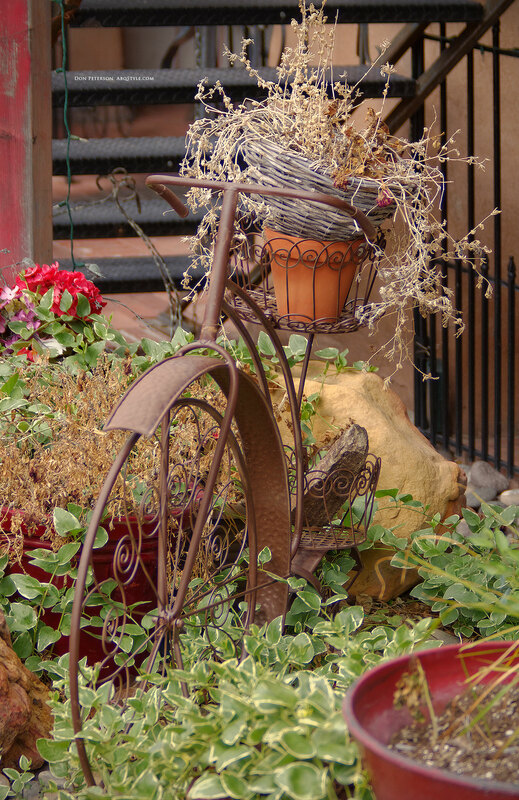 You can also use Old Town Albuquerque as your hub for a bicycle tour of some of the city’s most appealing attractions and features. Routes Bicycles in Old Town, is a great place to rent a bike or join one of their local daily tours. Classic Route 66 roadsters routinely drop by Old Town during the summer months. Old Town Albuquerque is located Northeast of Central Ave. and Rio Grande Blvd. NW. This ten block district is compact and very walkable. 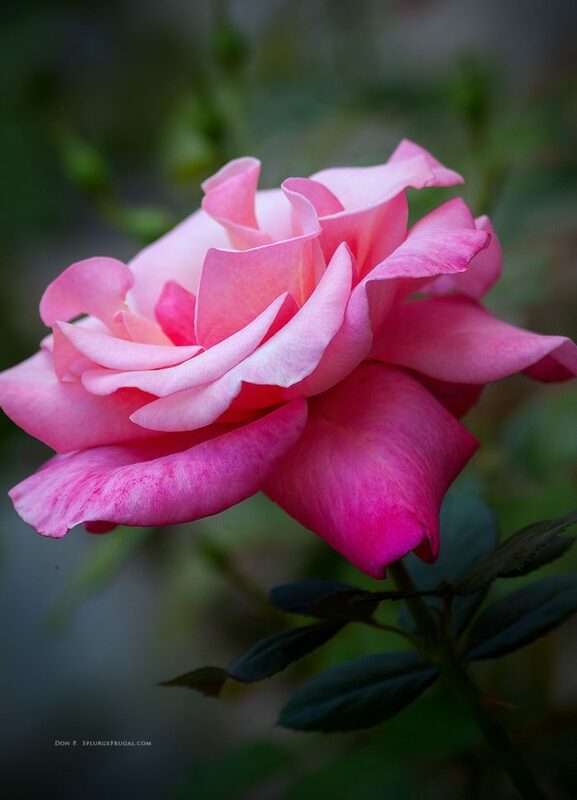 Its charm is timeless and unrushed. 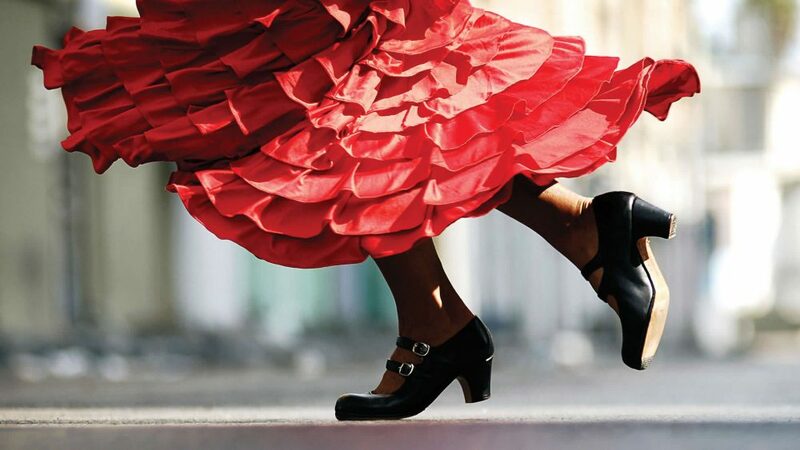 There are lots of small streets and plazas full of delightful surprises that you don’t want to miss! It is an easy commute by bus (66 or 766) from the Alvarado Transportation Center. 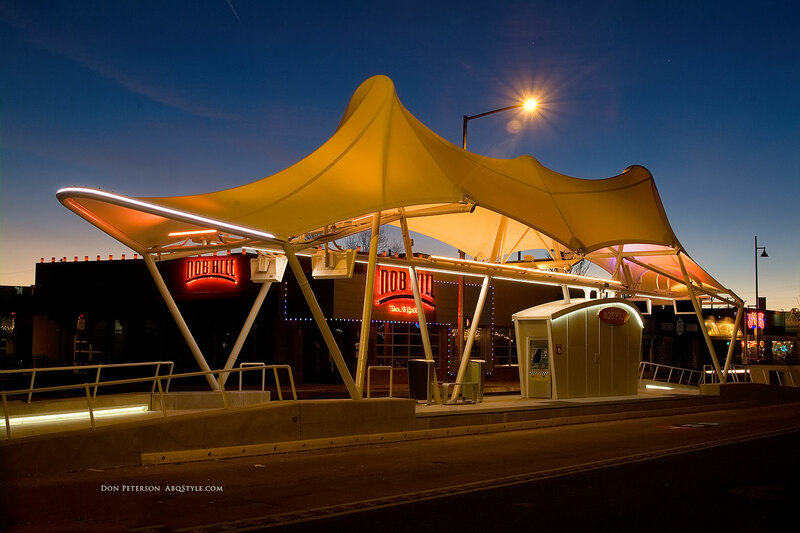 In late 2018 this will be one of the stops on the new ART rapid transit service that services the Route 66 (Central Ave.) corridor. 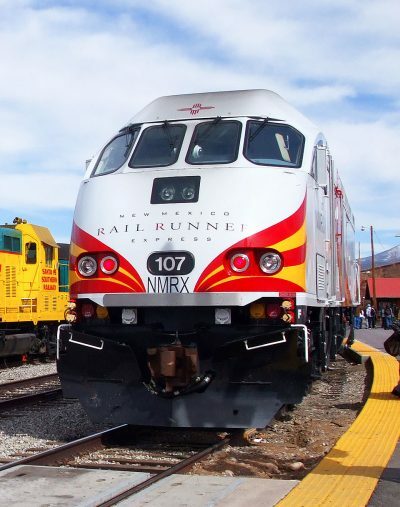 Insider’s Tip: A great way to see the attractions of Albuquerque without a car is to download the free ABQ Ride Mobile Transit App provided by the city of Albuquerque. ABQRIDE+ provides riders with powerful tools to easily navigate the ABQRIDE transit system, purchase mobile tickets, discover nearby attractions, and more. Click the button below for the ABQRIDE+ web page for more information and downloads. 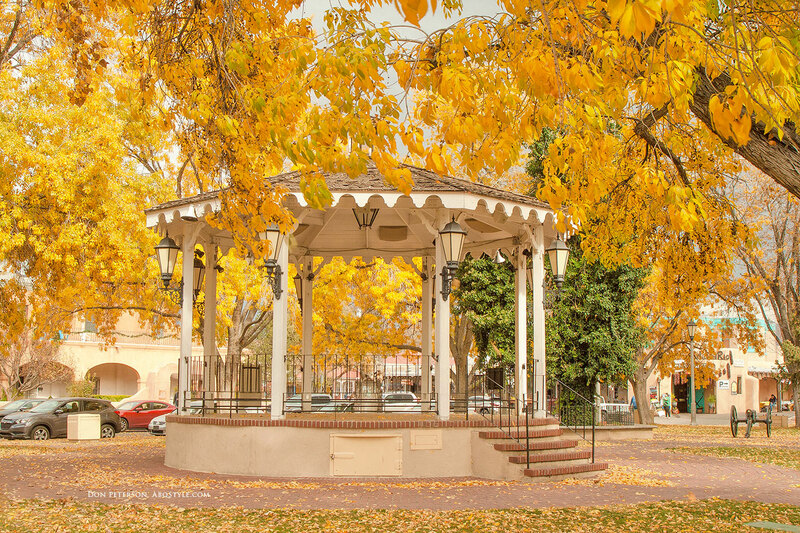 During the summer months, free music, dance, and theatrical events are featured in the Plaza Vieja Gazebo in Old Town Plaza. 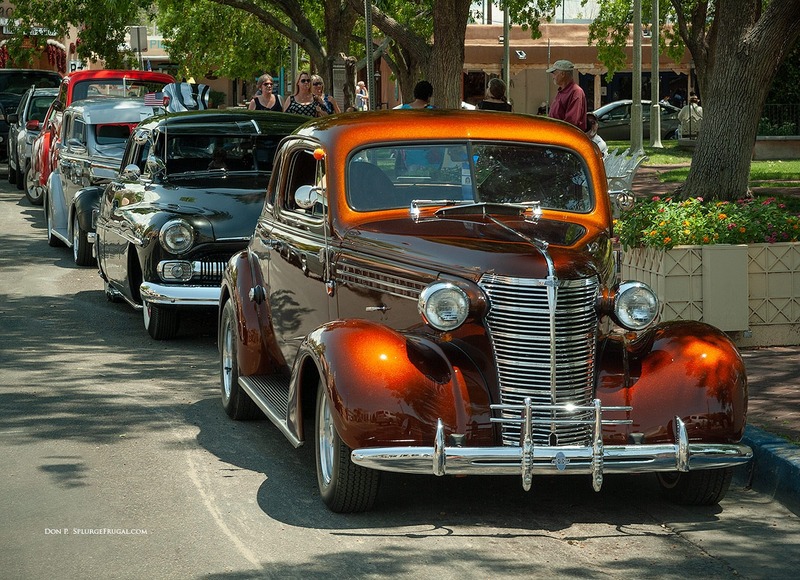 There are also classic car shows, food fairs and other special events in Old Town throughout the year. 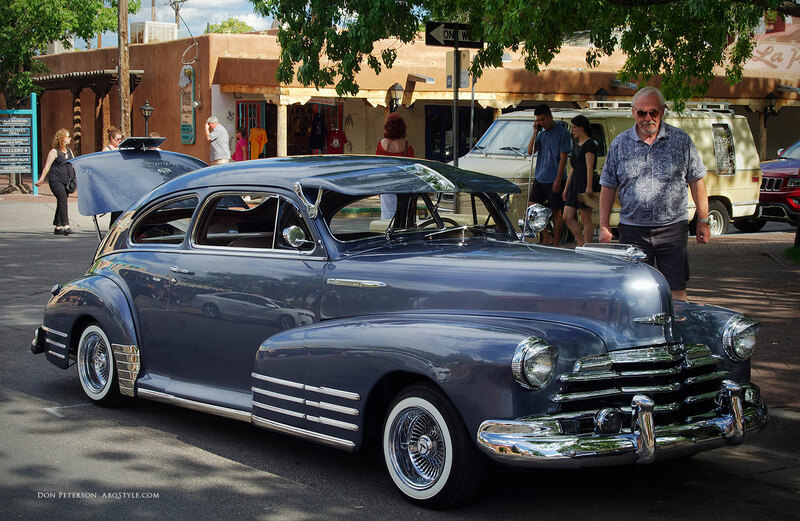 A recent car show in Old Town Albuquerque. Special events are also scheduled in Old Town for the week of Albuquerque International Balloon Fiesta and for major holidays. To see an up-to-date list of currently scheduled events, check out the City of Albuquerque Historic Old Town Events web page (link below). Another great source for up-to-date listings of events in Albuquerque is ABQtodo. They list upcoming events for all of Albuquerque. The link to the ABQtodo website is below. 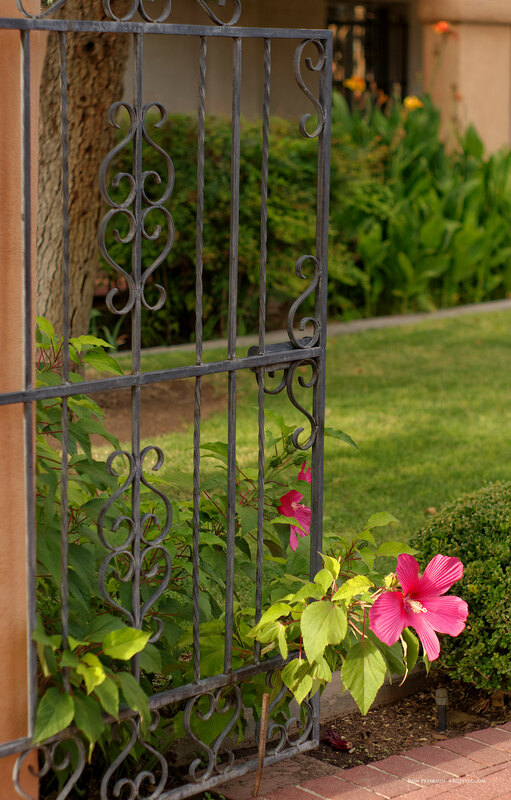 Albuquerque Museum of Art & History docents offer free walking tours of historic Old Town Tuesdays – Sundays at 11 a.m., from late April through November. Check the Albuquerque Museum web page for details and contact information. Also, a free self-guided walking tour brochure of Old Town is available by request at the Museum’s admission desk. Free events are scheduled in Old Town throughout the year by the City of Albuquerque Cultural Services Dept. Music, dance and theatrical events are held in Old Town Plaza during the holidays and throughout the year. Schedules are usually posted on the City of Albuquerque Historic Old Town Events web page. 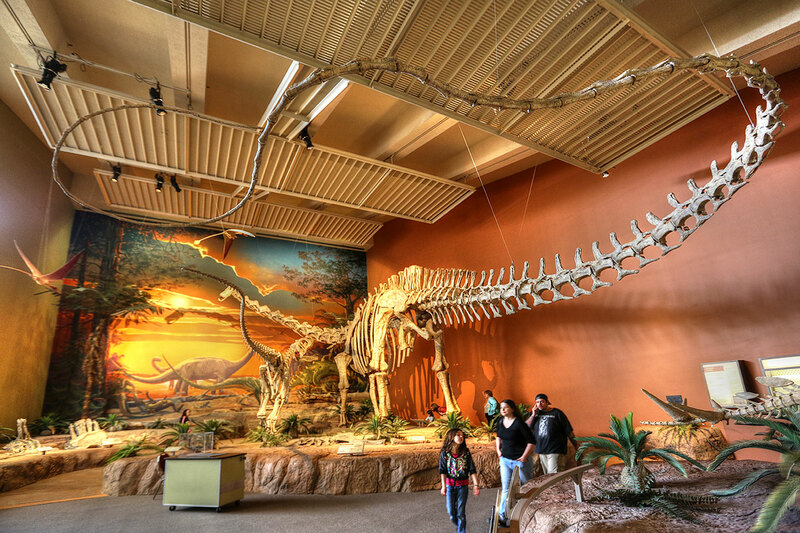 Groupon Albuquerque: Albuquerque museums, hotels, restaurants, spas and shops offer fantastic discounts on Groupon. Check them for an up-to-date list of current discounts and coupons in Albuquerque. VisitAlbuquerque.org Coupons & Discounts: This is a great source of discounts on hotels, bed & breakfasts, restaurants and attractions. 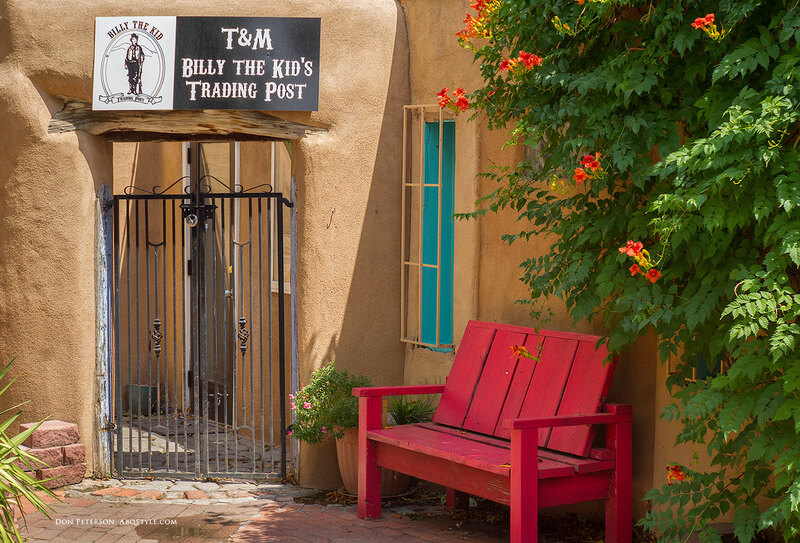 This is a great place to look for discounts on lodging near Old Town Albuquerque. Be sure to click on the link ‘Download Coupons’ link on this webpage for all of the latest restaurant coupons. This link is for discounts on trip-planning (lodging, tours) and this link is for discounts on things-to-do (balloon flights, bicycle rentals, attractions). 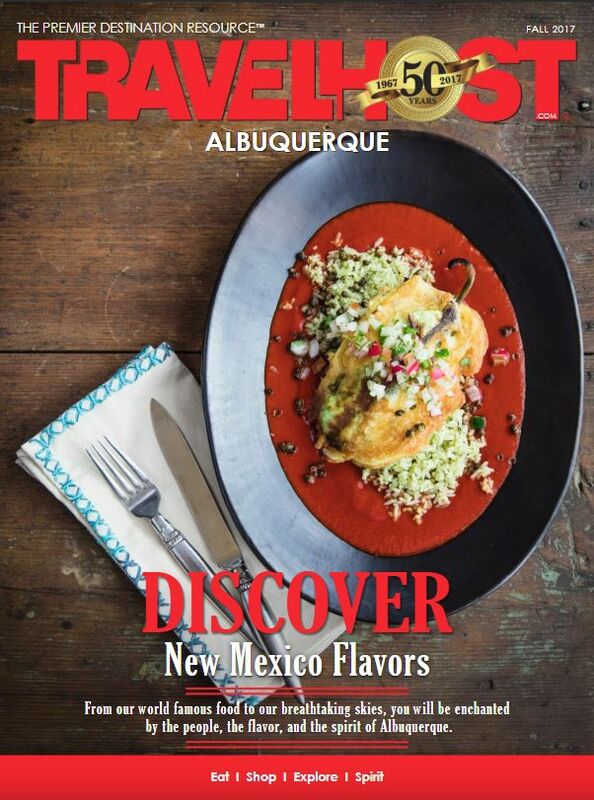 Also, you can order a free Albuquerque Visitors Guide on this website that may contain additional discounts and coupons. ABQonthecheap.com: Albuquerque On The Cheap is an amazing website that sniffs out freebies and discounts all over Albuquerque. Lots of great discounts here! If there is a discount on dining, shopping, and events anywhere in Albuquerque, you will probably find it on this website! 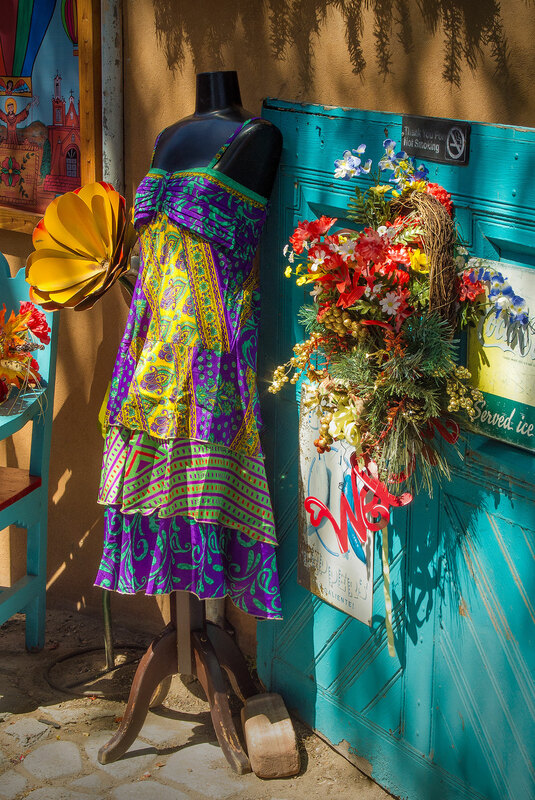 Old Town is a great place to buy local art, gifts, and souvenirs when visiting Albuquerque. You will discover paintings, sculpture, pottery, decorative arts, furniture, textiles, costume, drawings, pastels, watercolors, collages, prints, artists’ books, photographs, & installation art. Native American, Western and Mexican art are featured in the galleries and shops. At times, the artist whose work you are purchasing may be present in the gallery to discuss their work. 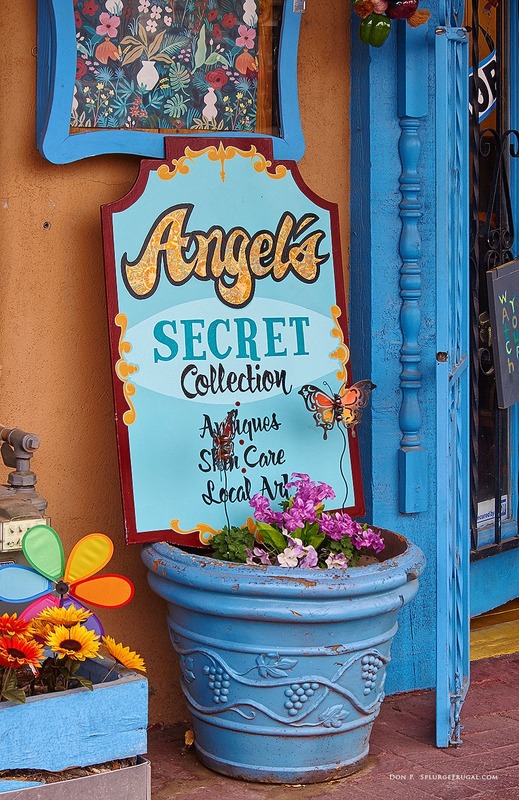 There are over 150 stores packed into Old Town Albuquerque. A maze of cobbled courtyard walkways leads to hidden plazas and gardens, where many of Old Town’s galleries and shops are located. The very helpful visitor center, which provides advice, maps, and recommendations, can provide assistance in navigating all that Old Town has to offer. Also, you can get a complete listing of Old Town Albuquerque shops & restaurants at albuquerqueoldtown.com. You will certainly find plenty of the typical tourist trinkets and t-shirts. 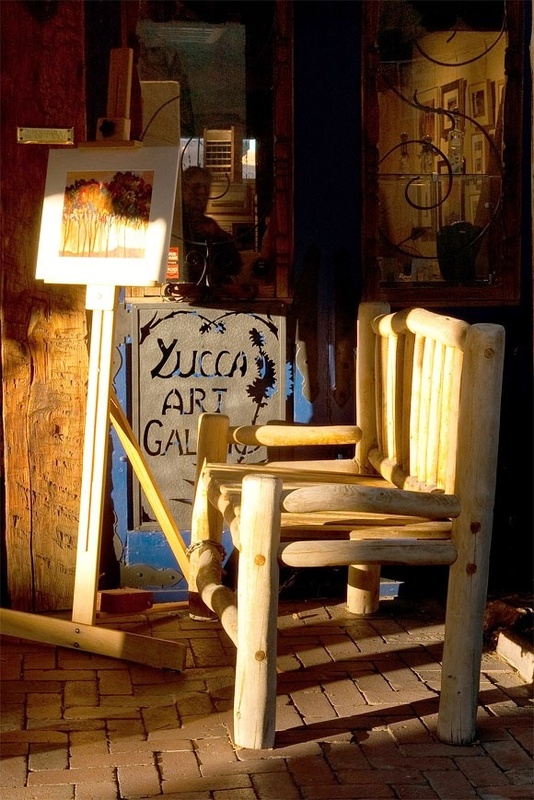 However, there is also lots of high-quality art and pottery for the more discerning shopper. Good deals can be found. Generally, the prices here are lower than you will find in Santa Fe. Most galleries do tend to close at 5 PM so just keep that in mind when you visit. 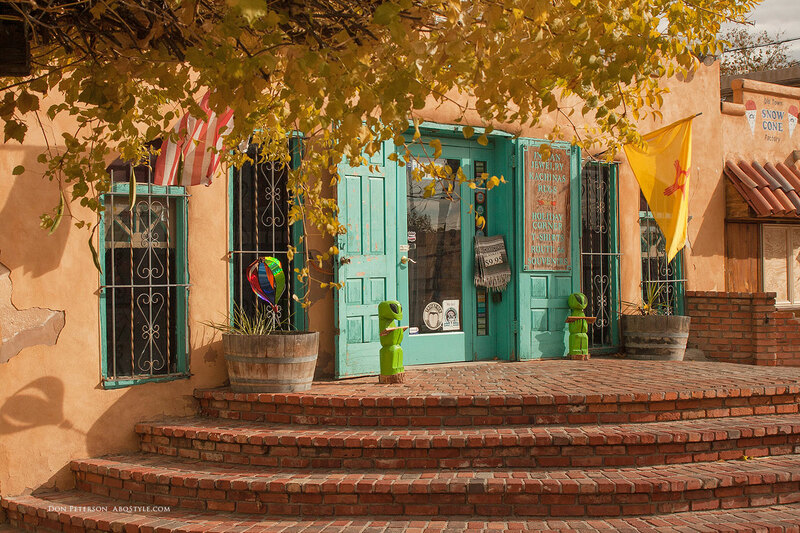 There is something for every member of the family in the Old Town Albuquerque gift shops, including clothing, hats, t-shirts, jewelry, posters, books and more! Browse a wide range of fascinating mementos to fit every budget. 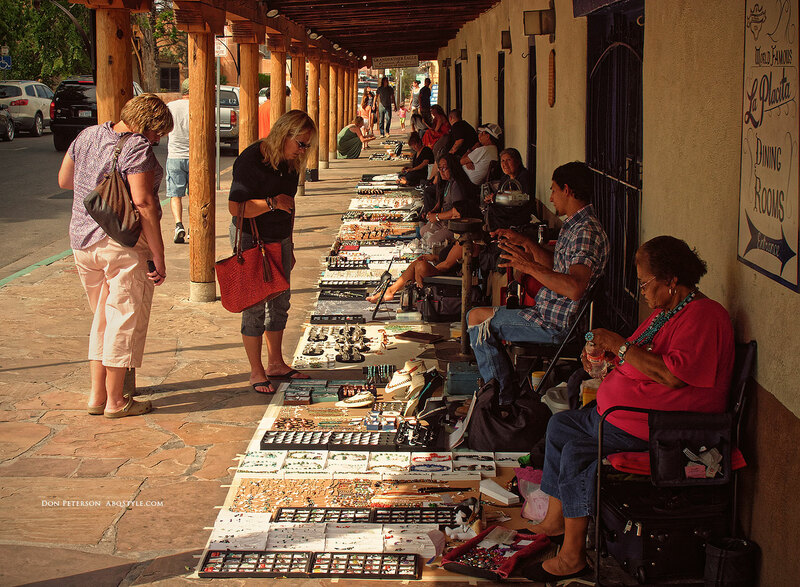 Pueblo and Navajo artisans often display their pottery, blankets, and silver jewelry under the awning of the La Placita Restaurant. 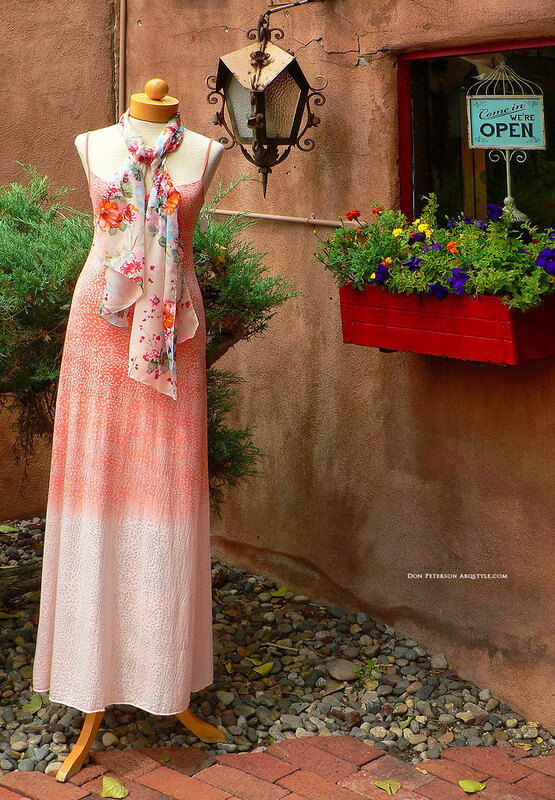 Whether you are seeking classic New Mexican style or something more contemporary, you will find the perfect boutique for your fashion sense in Old Town Albuquerque. Eat like a New Mexican! 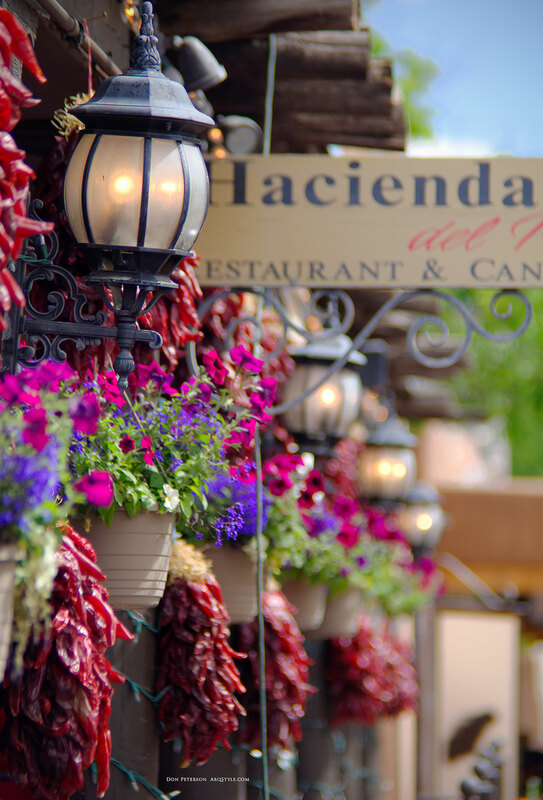 There is a diverse choice of restaurants and cafes in and around Old Town Albuquerque. Whether you yearn to sample classic New Mexican cuisine or just want a great burger or pizza, you can find it here! 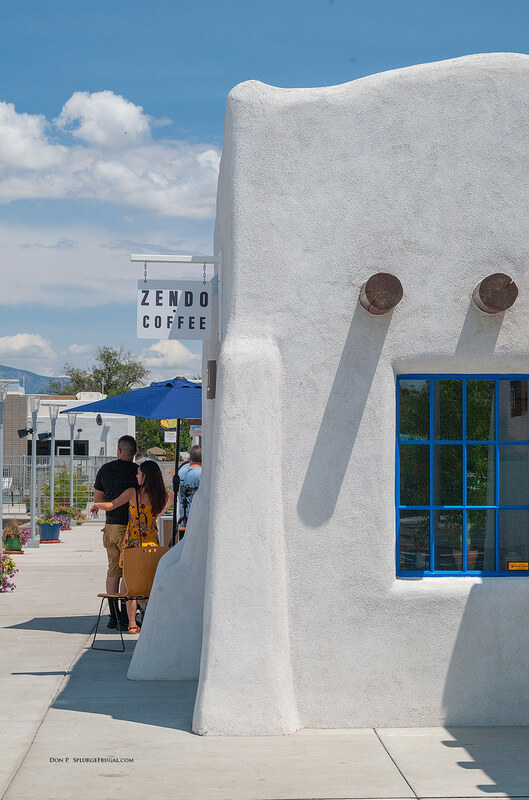 Albuquerque Old Town is jam-packed with enticing family-owned eateries (as is Albuquerque in general) that fit every budget. You will find lots of online reviews of local restaurants (including my own on this website) but here is a good tip to follow: The locals know where to go for the most authentic and affordable food in the Old Town area. They tend to be very loyal to places that serve good food. Ask for their recommendation! Perfect for casual meals. Golden Crown is a culinary gem that serves amazing pizza with a New Mexican touch, and satisfying sandwiches featuring their excellent bread baked in-house. They also feature local craft beers. 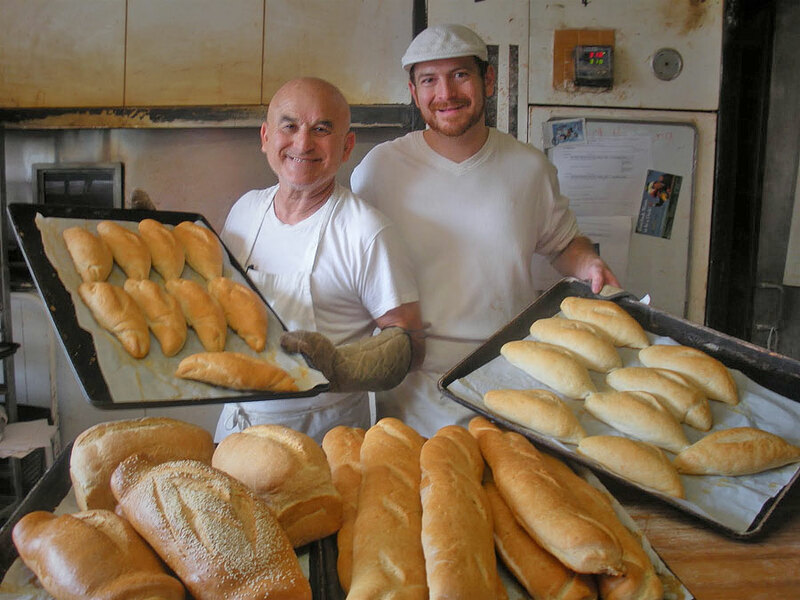 Golden Crown Panaderia is ranked as one of the best bakeries in New Mexico. Read my full review of Golden Crown Panaderia here. Great New Mexican food, ambiance and hospitality await you at Church Street Cafe. Housed in a charming residence building that dates back to the early 1700’s, you are treated to a memorable dining experience in a beautiful setting. During the summer months, the spacious and beautifully adorned rear patio at Church Street Patio is THE place to dine in style! If you want to sample authentic New Mexican food, this is one of the best places in the Old Town area to do so. 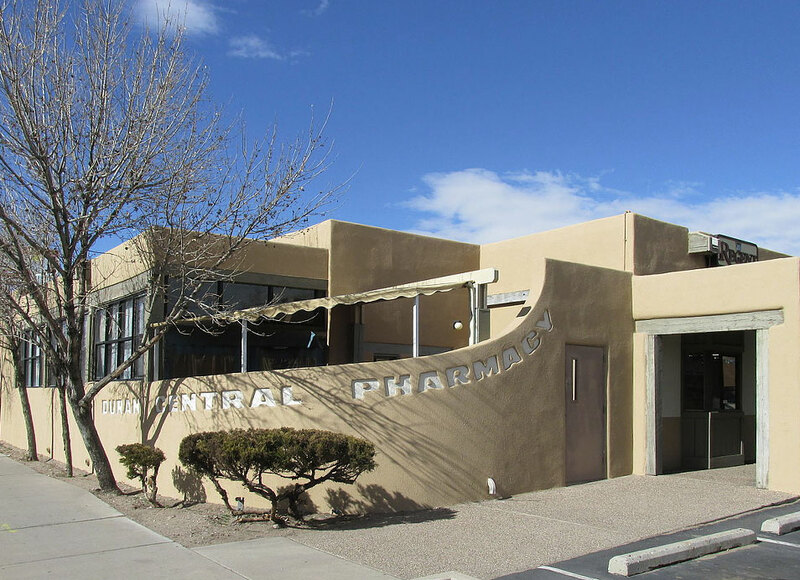 Duran Central Pharmacy has a traditional drug store lunch counter and cafe seating. 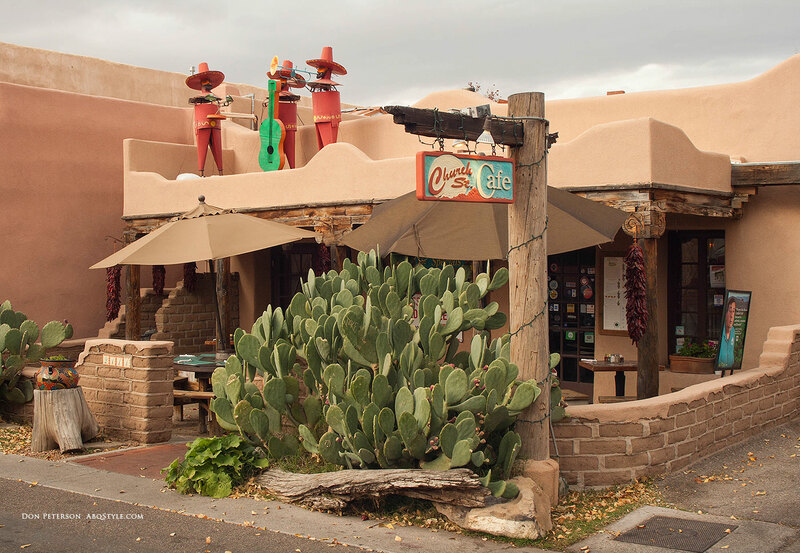 Its modest exterior hides an excellent kitchen cooking traditional New Mexican classics. Read my full review of Duran Central Pharmacy here. If you just want a burger and some fries, skip McDonald’s and head for Blakes Lotaburger. 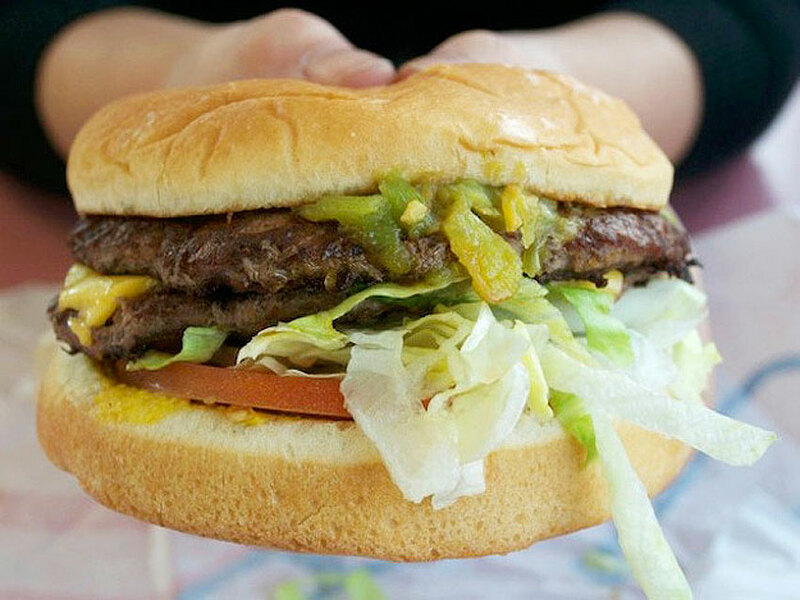 This is considered the best fast-food green chile cheeseburger in Albuquerque. Blakes Lotaburger is a local chain with locations all over Albuquerque, including one in Old Town across the street from the Hotel Albuquerque at Old Town. Read my full review of Blakes Lotaburger here. 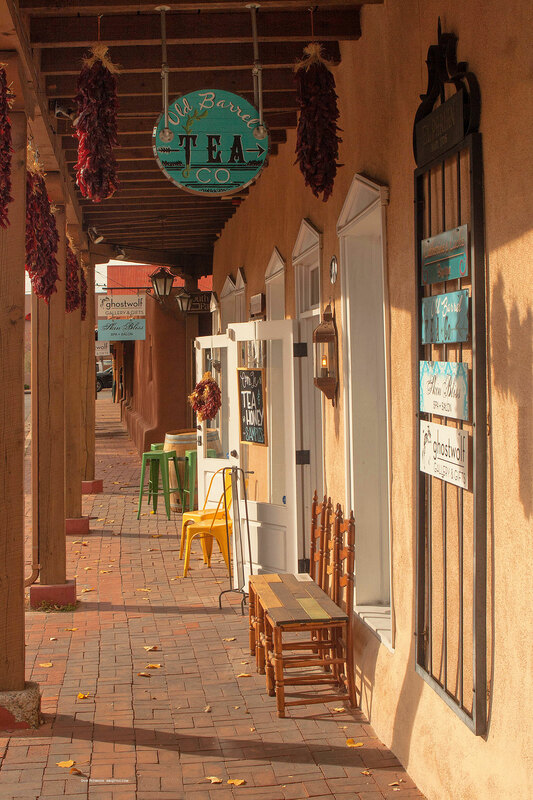 Since the winter is fast approaching, here is a charming place to stop in Old Town Albuquerque for an amazing cup of tea. If you are a connoisseur of tea, you will love this tiny family-owned shop. If you are not yet a tea snob, you will certainly become one after a stop at Old Barrel Tea Company. Tea is their passion! Their hand-blended teas come in an amazing choice of flavors; truly creative blends like Blood Orange Lemongrass and Pumpkin Chai! Plus, they offer locally harvested honey to sweeten the best cup of tea you will find in Albuquerque. Check it out! The Albuquerque Museum of Art & History offers visitors locally curated and world-class traveling exhibitions. Discover some of the most remarkable artifacts and works of art from the region and the world. 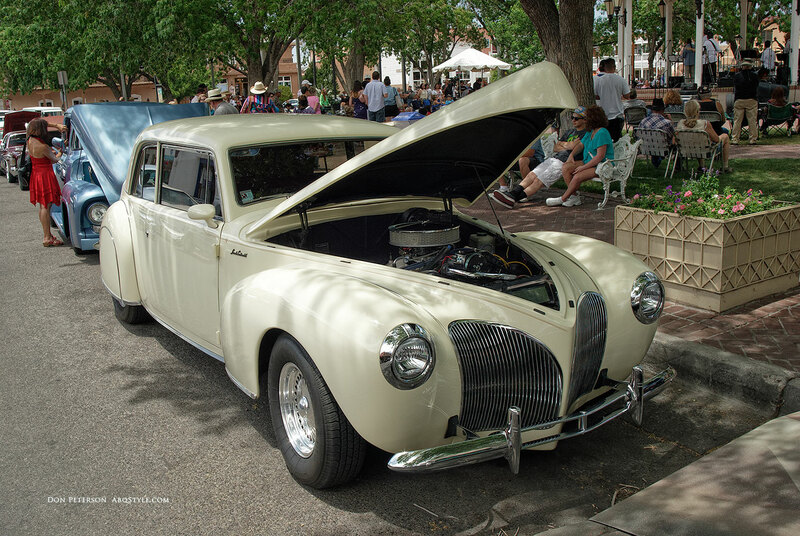 Also, they play host to the Albuquerque Museum Car Show in May of each year, one of the most popular yearly events for car enthusiasts! 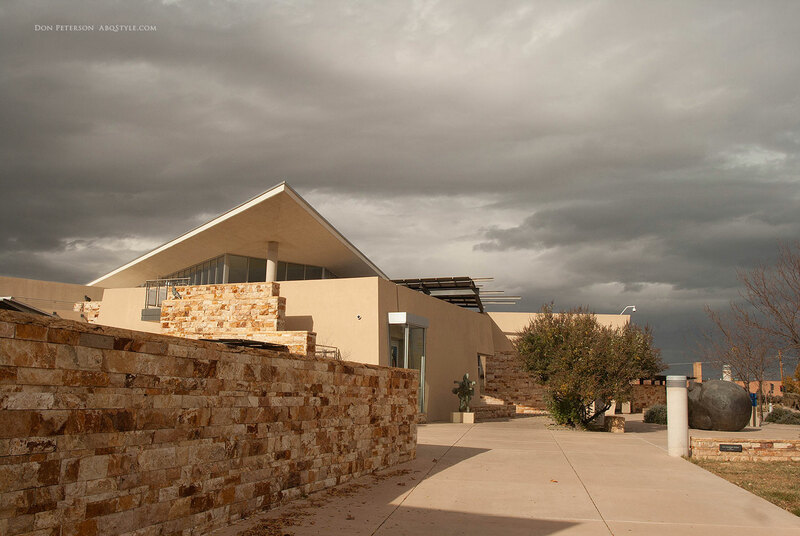 The New Mexico Museum of Natural History and Science preserves and interprets the distinctive natural and scientific heritage of our state through extraordinary collections, research, exhibits, and programs designed to ignite a passion for lifelong learning. This is a great museum for families as it offers something for every age group. 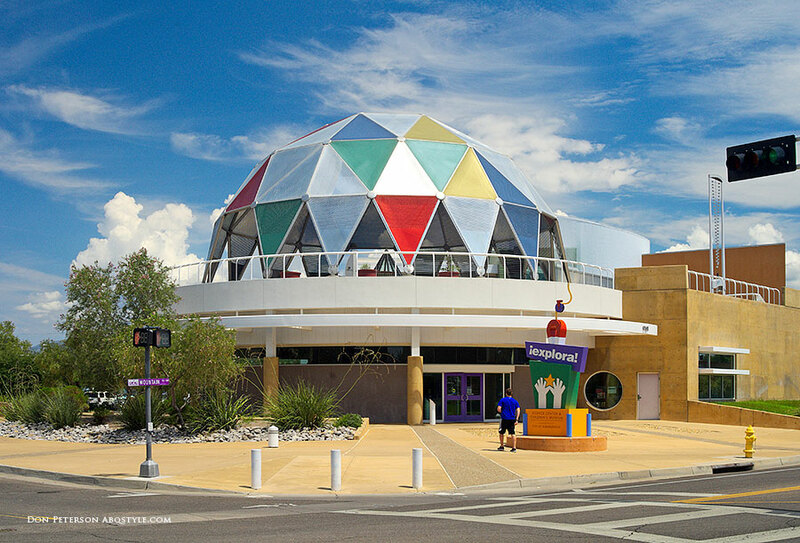 The mission of Explora museum in Old Town Albuquerque is to create opportunities for inspirational discovery and the joy of lifelong learning through interactive experiences in science, technology, engineering, art, and math. This is a hands-on museum that encourages children to learn in an interactive way. This is a great museum for young children and parents. 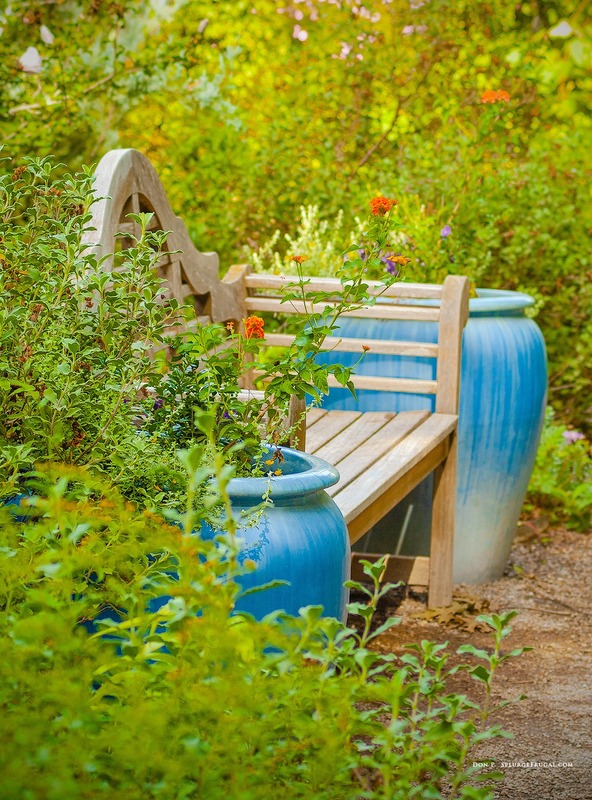 The ABQ BioPark Botanic Garden & Aquarium offers 1.5 miles of paths through colorful formal and whimsical gardens designed to delight your senses along with a fascinating aquarium display of aquatic animals. 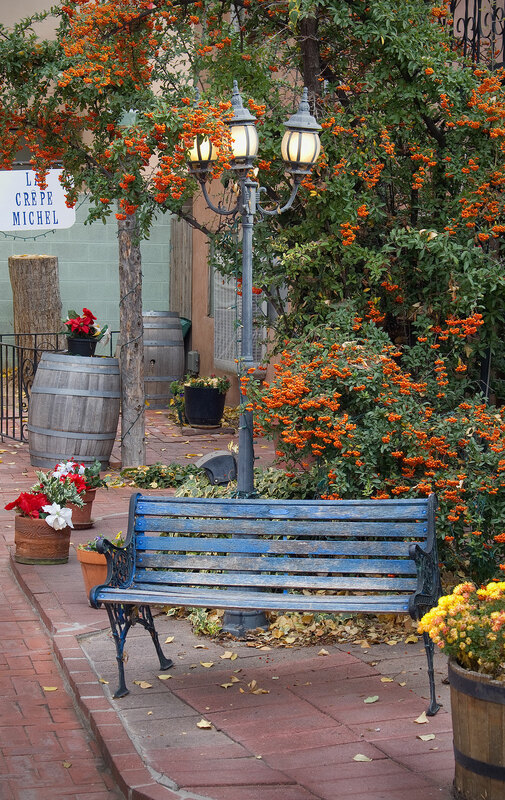 Here are three hotels that put you in the heart of the historic Old Town Albuquerque district. This charming Old Town Albuquerque bed & breakfast can boast that Elvis slept here and Sinatra sang here. The 1912 Bottger Mansion is one of only a few mansions built in Albuquerque and remains virtually in its original form. This is the only one of four Victorian-era mansions in Old Town to remain virtually in its original form. 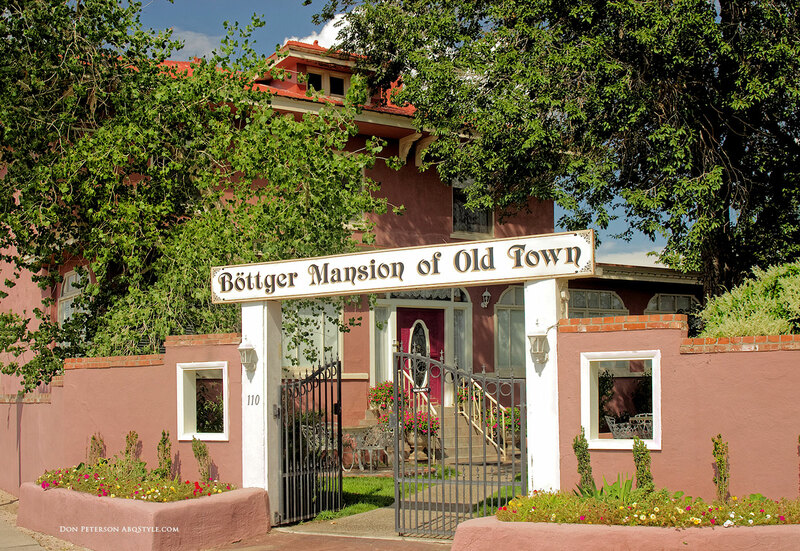 Located on the corner of Historic Route 66 (Central Ave.), the Bottger Mansion is on the National Register of Historic Places and is the only bed & breakfast in the Old Town Historic District. Click here for the Bottger Mansion website for more information and bookings. 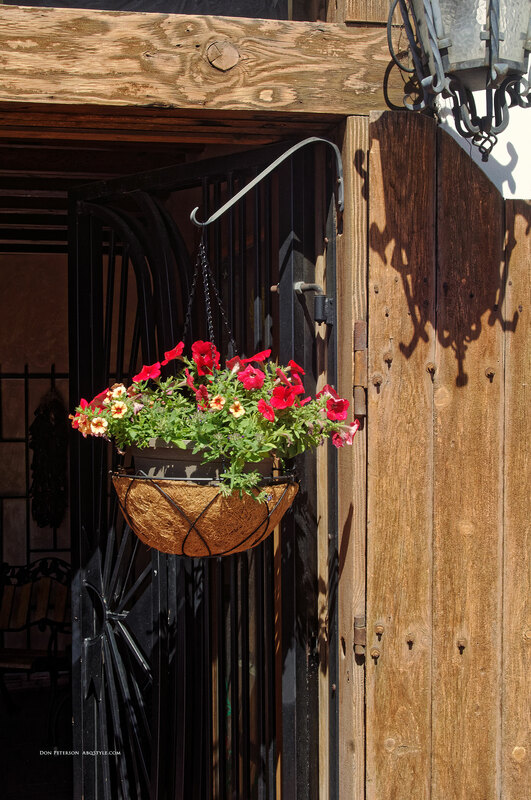 The beautiful Hotel Albuquerque at Old Town pays homage to the classic adobe style of many New Mexico territorial historical buildings. The grounds include a 19th century-style chapel and courtyard, as well as Spanish gardens and a Victorian-style pavilion. 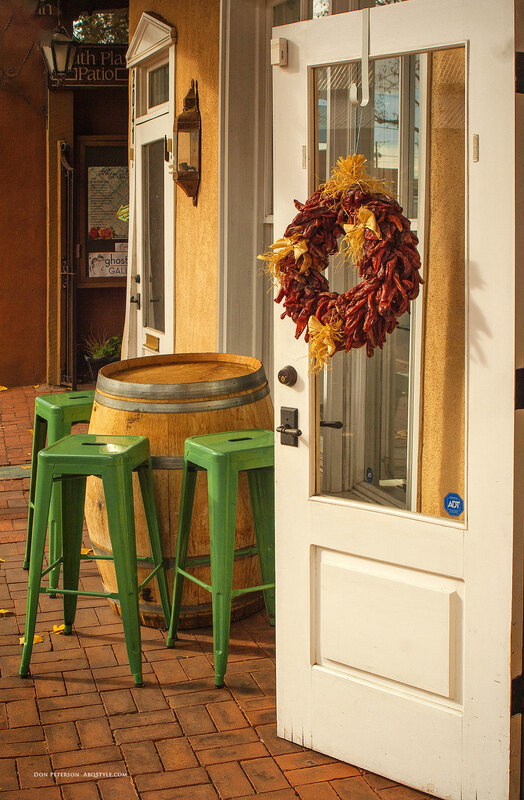 Their signature restaurant, Garduño’s at Old Town, with its cloth walls, turquoise ceiling, punched tin light fixtures and painted glass windows, is designed to make you feel like you are in a historic New Mexico home. 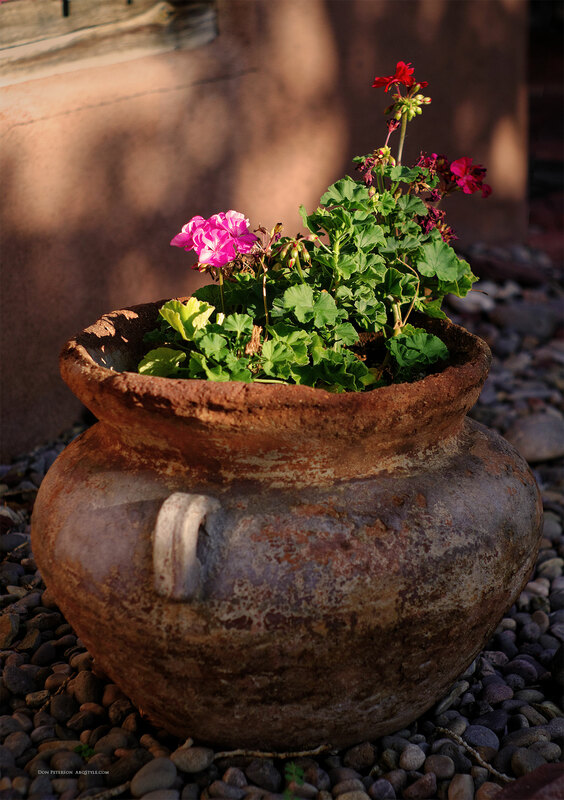 For more information and bookings, visit the Hotel Albuquerque at Old Town website. The newly reopened El Vado retains the classic charm of the historic former motel in its revival as a luxury boutique hotel. Although expanded and upgraded, it retains the classic Route 66 beauty of the old El Vado Motel. It not only offers boutique-style hotel accommodations (at quite reasonable prices), but it hosts a delightful range of eateries and gift shops. Visit the El Vado in Old Town website for more information. 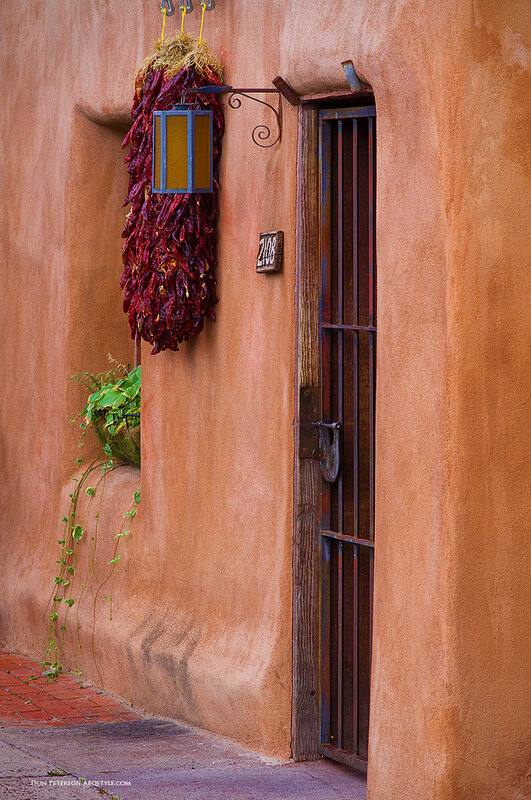 Old Town, Albuquerque has a uniquely New Mexican patina shaped by history and time. 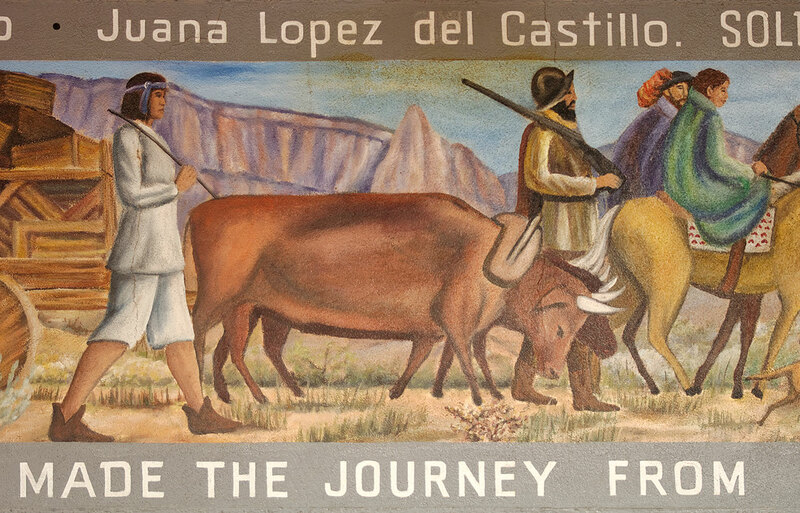 It is a step back into the past, providing a visual immersion into the roots of New Mexico’s history and culture. Both Santa Fe (the capital of New Mexico) and Old Town Albuquerque strive to retain a sense of history in its architecture and aesthetics. Old Town, by comparison is much more approachable, down to earth. 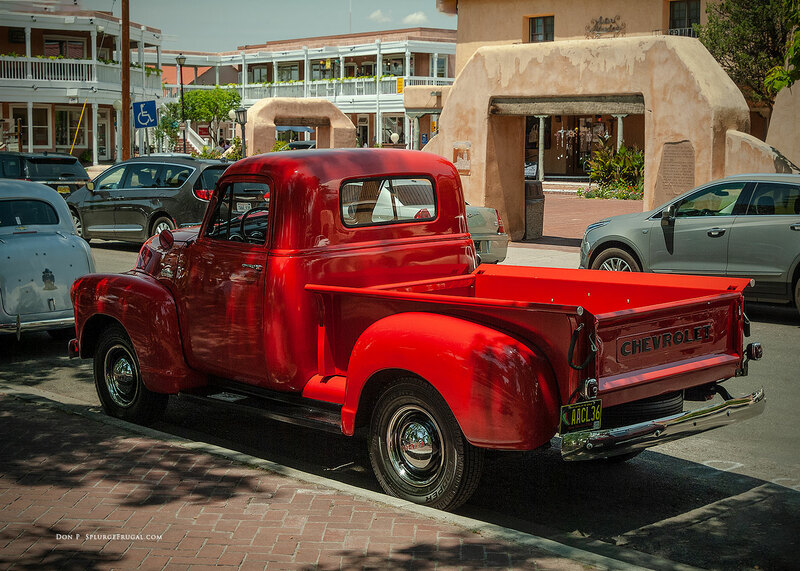 Its heritage as the town center for the farmers who settled in Albuquerque gives it a more rustic charm. 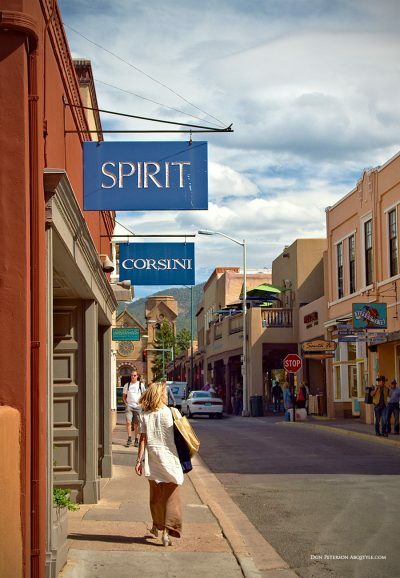 The streets in Old Town Albuquerque are intimate and walkable, perfect for casual strolling, shopping and exploring. 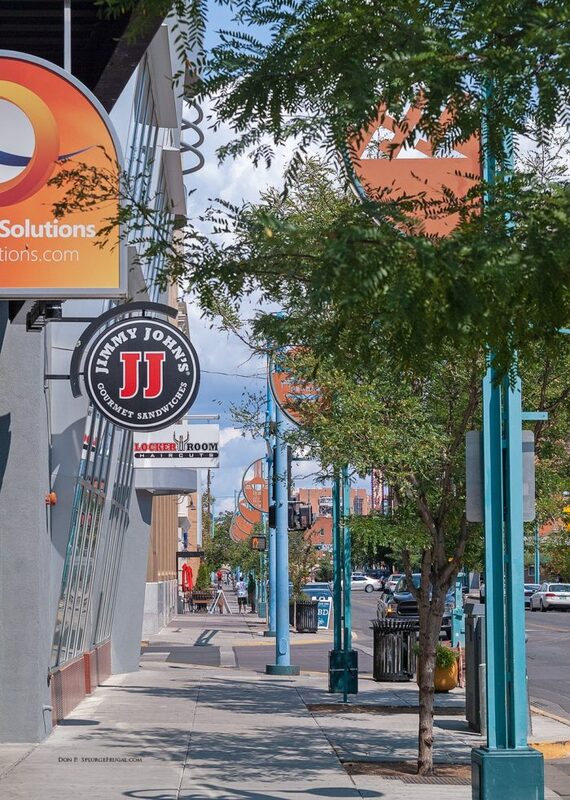 Park in one of the conveniently located parking lots or make a fast commute from downtown on ART (Albuquerque Rapid Transit) and explore the ‘nooks and crannies’ of this tiny detail-rich neighborhood. You are in for a treat! When you walk through Old Town, you are seeing architectural heritage that has endured for more than three centuries. Although the buildings and homes have been re-purposed for shops and restaurants, many of these structures can trace their roots back more than two centuries. 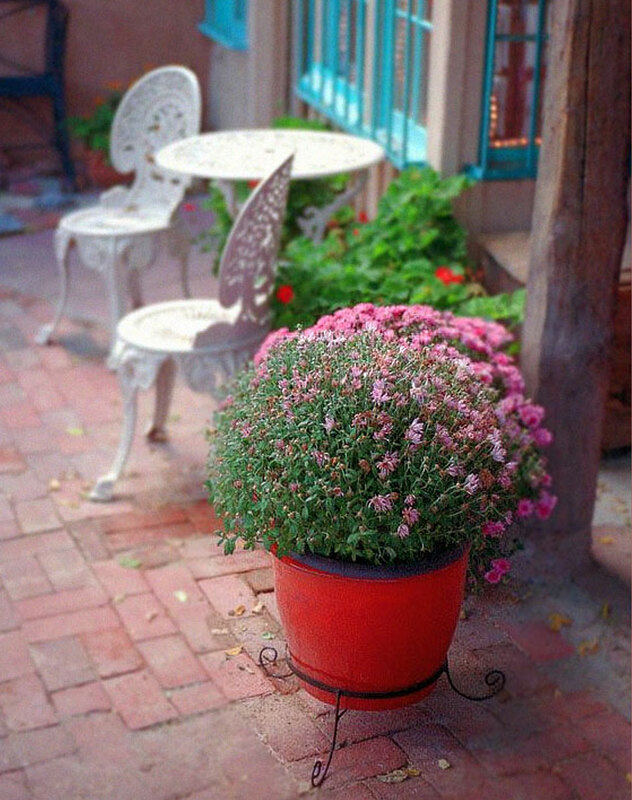 There is a timeless, unpretentious feel to Old Town Albuquerque. 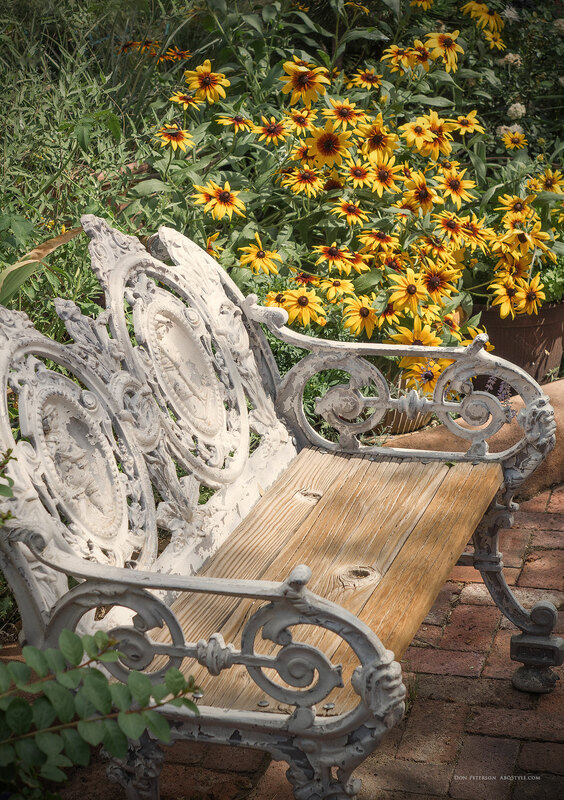 Its weathered patina and intimate scale makes it a great place to stroll and take pictures. 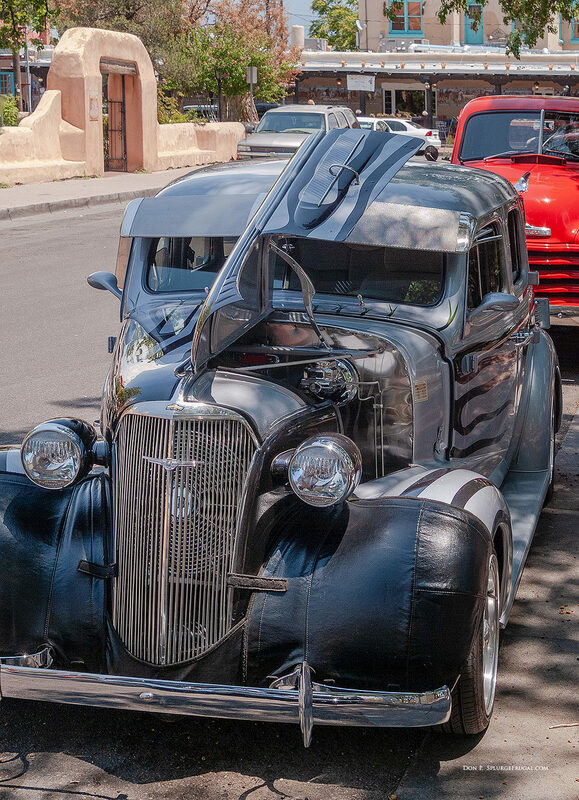 During the summer months it is not uncommon to see an impromptu car show or a gleaming lowrider parked in Old Town Albuquerque. Old Town sits on the old Route 66 (Central Ave) corridor that runs through Albuquerque. If you want to photograph Old Town Albuquerque in the best light, wait until the late afternoon. The sunlight is warmer and less harsh and interesting shadows make for captivating images. 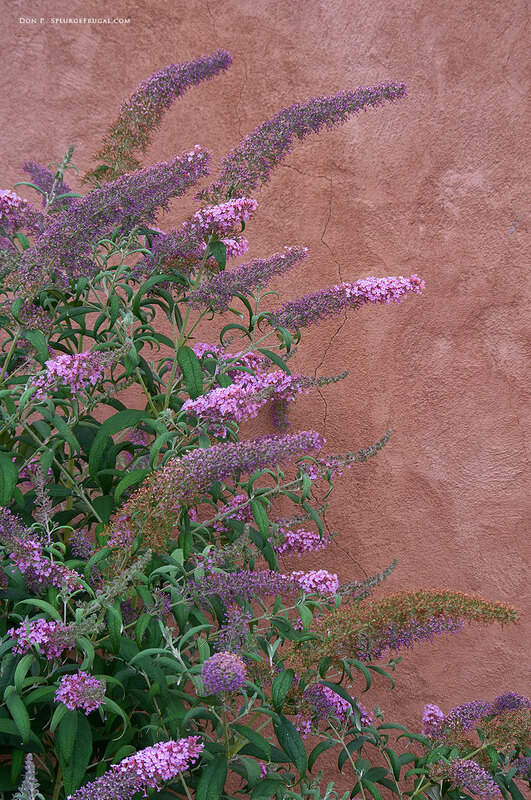 The photo above shows the lovely patina and restful colors of old-world Adobe in a gift shop nestled in a small plaza in Old Town, Albuquerque, New Mexico. 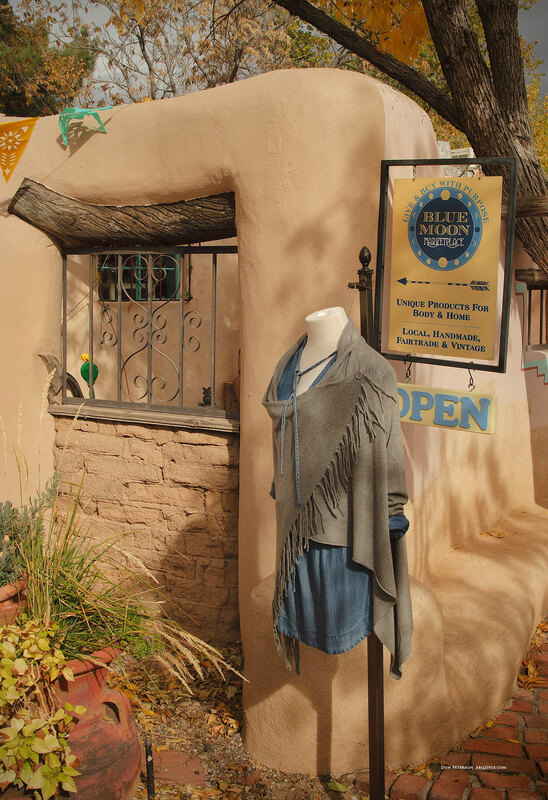 Winding cobblestone pathways lead to cozy shops and boutiques in Old Town Albuquerque. Explore and you will be rewarded! 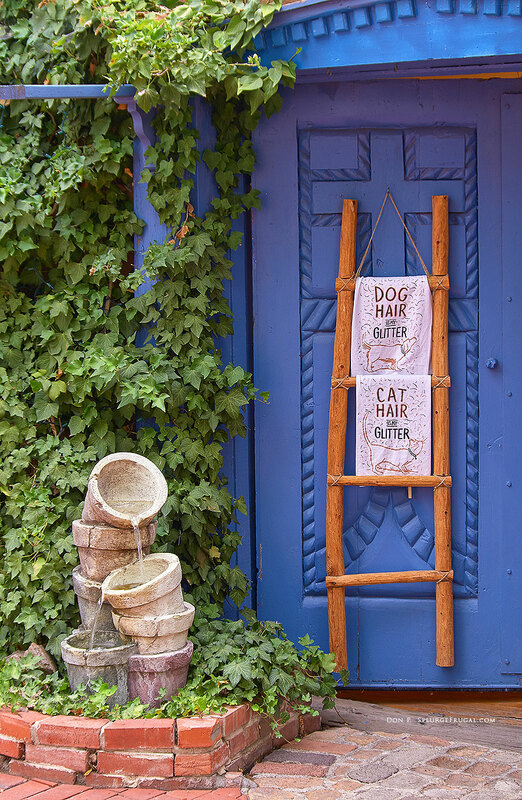 A walk through Old Town will reveal many photogenic details and curiosities that capture the eye and heart! 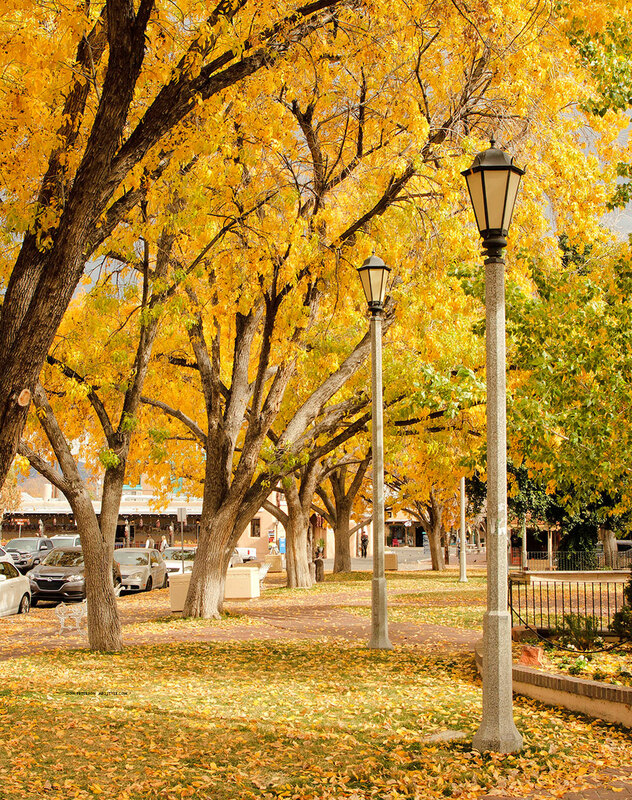 In all probability, by the time you read this post, the fall colors in Old Town, Albuquerque, New Mexico will be past their prime. Well, that’s why cameras were invented! 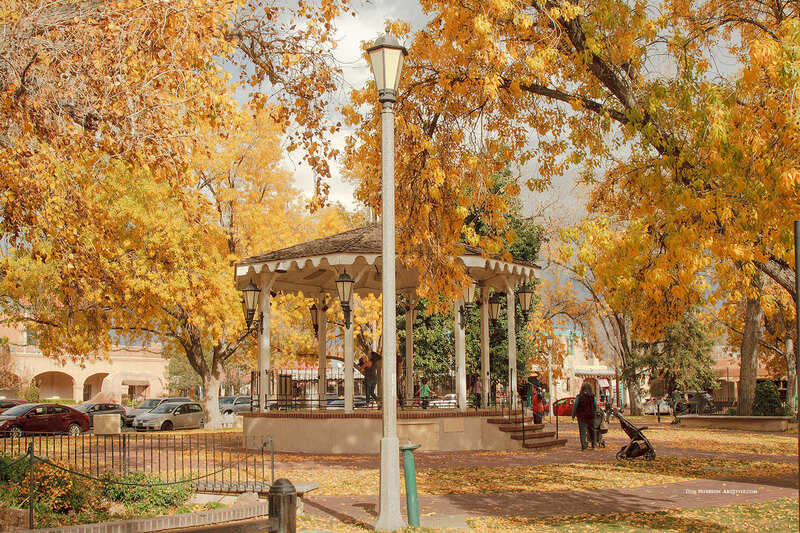 These photos, show the gold tones of autumn that adorned the cottonwood trees in Old Town Plaza on November 17, 2017. The weather was balmy, and the trees were glowing! It was a great time to visit Old Town. 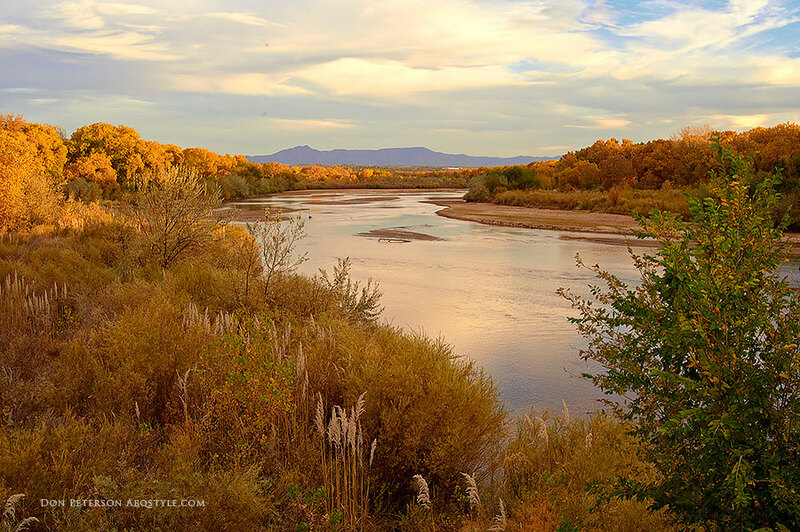 Timing is everything when it comes to witnessing the spectacle of fall colors in Albuquerque at their prime. The winds were picking up and the leaves were starting to drop as I photographed these settings in Old Town. 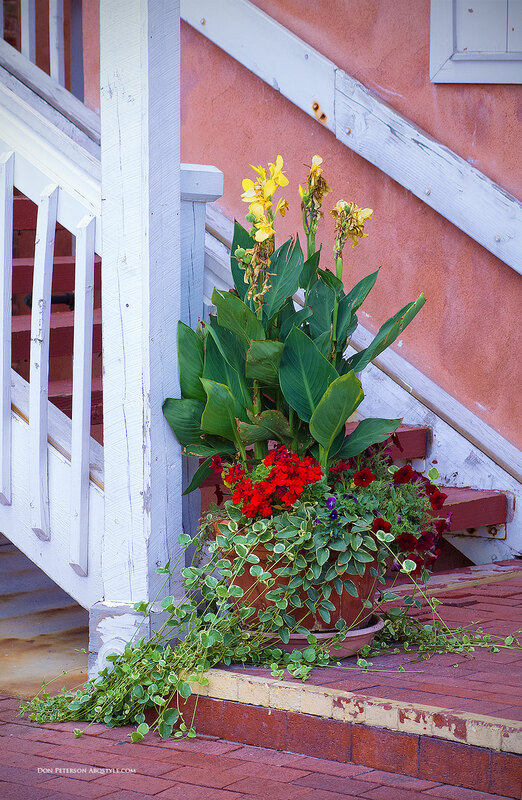 The beauty of Old Town is in the details. The warm Adobe textures and colors of Old Town look wonderful in the late afternoon until early evening as the sun drops lower in the sky. The natural light at that time of day is warmer and has less glare. It also creates interesting shadows that can add a painterly feel to photos. I like to focus on details in the architecture and storefronts that capture the history and hand-crafted feel of this historic setting. Generally, you do not need any special lenses as most of Old Town is only one or two stories tall. 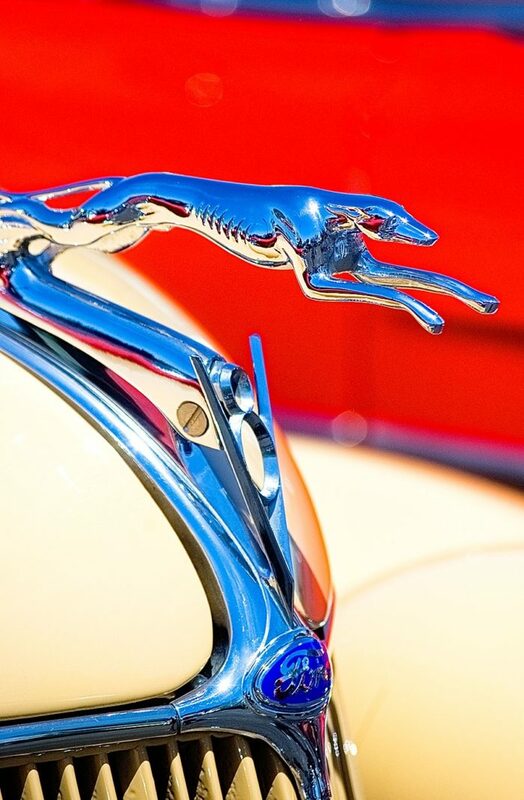 By composing photos to avoid cars you can create images that feel more timeless. All photos were shot by Don@SplurgeFrugal. A number of DSLR cameras were used including the Canon 10D, 20D, Rebel XTi, Pentax K-M, Pentax K-X, and FujiFilm S2 Pro. The lenses used were kit lenses and zoom lenses typically 18-55mm to 28-75mm. Hopefully, all of this has whet your curiosity! 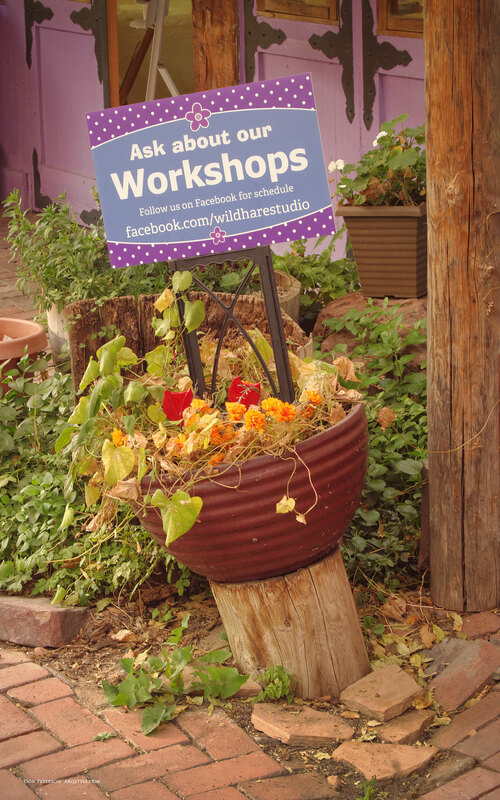 Be sure to stop by on your next visit to Albuquerque!